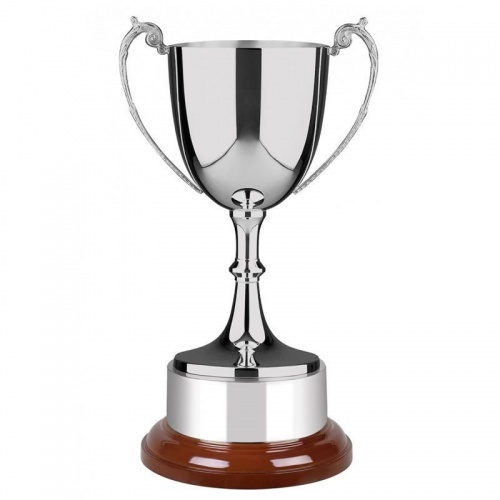 These quality trophies have a polished nickel plated finish and are a lower-cost alternative to our popular silver plated Staffordshire trophies. Handmade in Britain and with a non-tarnish finish, they have a rosewood base and are sold complete with a plinthband. Available in six size options, offered with engraving of the trophy body and/or plinthband.